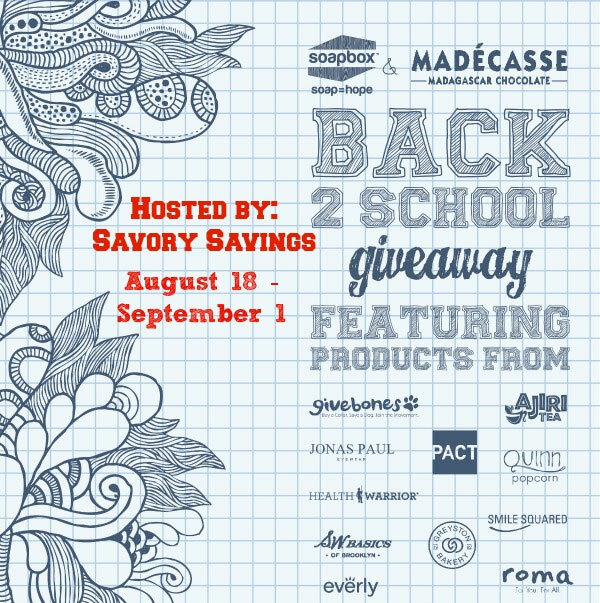 It’s back to school time and w’re celebrating with a (give) back to school giveaway with some amazingly useful products! This giveaway is sponsored by SoapBox Soaps, hosted by Savory Savings and co-hosted by Swanky POV. My son will be in the fourth grade this year! Where does the time go? He’s excited to be going back to school but I am so sad. I love having him here with me everyday even if it is harder to get my work done. 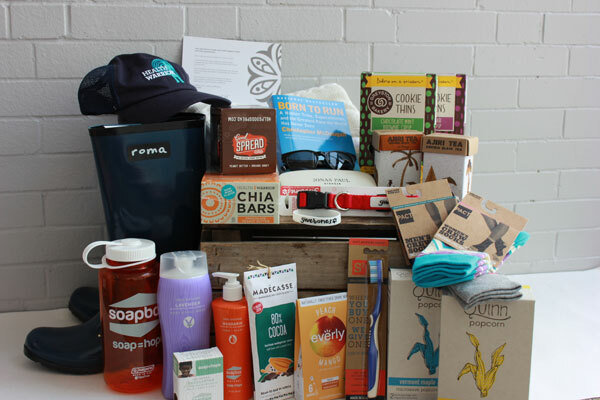 How would you like to win an assortment of socially responsible prizes such as rain boots, bamboo toothbrushes, natural soaps, pet products and more? There will be at least three winners – each prize pack is valued at $300 or more! If you would like a chance to win, enter with the Giveaway Tool below. If you have won a SoapBox Soaps giveaway anytime from another blog in the last 12 months, you are not eligible to win this giveaway. The giveaway will run from August 18 through September 1, 2014 at 11 PM CST and is open to US residents, ages 18 and older. Entries will be verified. Good Luck! Winners will be notified via email (consider adding gloriouslygreengal@gmail.com to your safe list) – winner will have 48 hours to respond and claim prize or another winner will be selected. Krista from Gloriously Green Gal and Savory Savings received products from this sponsor to facilitate her review, no other compensation was received. All participating blogs are not responsible for prize fulfillment. This giveaway is in no way associated with social media sites including Facebook, Twitter and Pinterest. I like the Charcoal Lover Bundle, and it donates 2 bars of soap, 2 months of clean water, and vitamins for a year for two children! I would love to try the Tea & Ginger body wash. It sounds like a fantastic smelling combination. I would love to try the laverder body wash. I learned that subscribers can save up to 25% off at Soapbox Soaps. I learned they have body wash and that I can purchase it at Target.